MOSCOW, January 26. /TASS/. 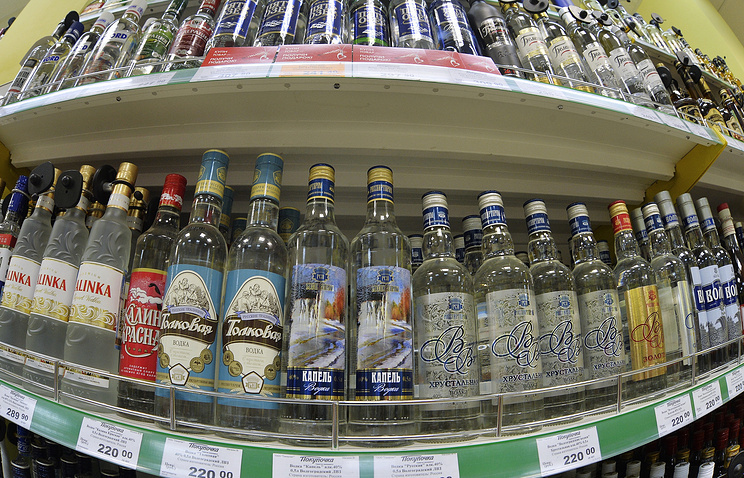 While the prices of most foodstuffs are rising, Russians still have one consolation: the price of vodka, the world-famous Russian national alcoholic drink, will go down from February 1. The Russian authorities have grown convinced that a sharp rise in alcohol prices will boost illegal alcohol production as experts have warned earlier. The state is trying to return control of the vodka market by reducing the minimum retail vodka price. Simultaneously, measures are under way to toughen punishment for illegal vodka production. For the first time in Russia’s modern history, the minimum retail price will fall by 35 rubles to 185 rubles ($2.8) per half-liter bottle starting from February 1. In the past three years, the state had pursued the policy of constantly raising alcohol excise duties, expecting that these measures would boost state coffers and make people drink less. However, vodka production fell by 22.3% last year. Director of the Center for Federal and Regional Alcohol Market Studies Vadim Drobiz said that the industry had never showed such a sharp fall in annual output and such low production volumes in Russia’s modern history. Meanwhile, Deputy Prime Minister Alexander Khloponin told a meeting of the Commission for Alcohol Market Regulation in December that the state budget was annually losing 30-50 billion rubles ($450-760 million) from illegal alcohol sales. As the minimum vodka price soared from 170 ($2.6) to 220 rubles ($3.4) last autumn and the legal market lost 14% of consumers who switched to vodka produced in the shadow sector. The share of the grey market of strong alcoholic drinks has reached a record 65%, according to expert estimates. 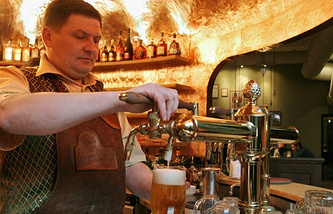 Apart from cuts in vodka prices, measures are planned to toughen punishment for illegal alcohol production. An article may be added to the Russian Criminal Code to envisage punishment for the illegal production and trade in unlicensed alcoholic drinks. The corresponding bill has been prepared by the Russian Agriculture Ministry, which has proposed increasing penalties for the production and trade in unlicensed alcohol and hold citizens liable for its sale. “The logic of the government, which is reducing the minimum vodka price, is understandable: now that household incomes are falling, it is setting lower prices, assuming that more bottles will be sold, even if less revenue is paid into the treasury from each bottle,” senior researcher at the Russian Presidential Academy (RANEPA) Vadim Novikov told TASS. According to him, the government “is trying to find an optimal price” but in this case it is a matter of economic expedience rather than the struggle against alcoholism. The expert said, however, it can hardly be expected that reducing retail vodka prices to the announced level will help defeat the illegal market. “This should be achieved through tighter administrative control over alcohol production,” the expert said.